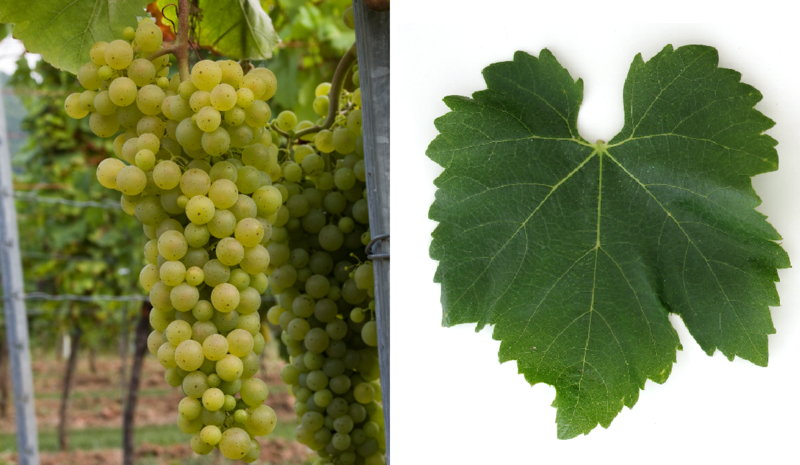 The white grape variety comes from Hungary. The name means "linden leaf" and derives from the remotely similar leaf shape as well as the aroma of the large, loose- Grapes off. Synonyms are Feuille de Tilleul ( France ); Lipolist, Lipolist Biyali ( Croatia ); Lamb tail, Linden-leaved, Linden-leaved, White ( Austria ); Lipovina ( Slovakia. Czech Republic ); Budai Fehér, Budai Goher, Harch Levelu, Hárslevele, Hárslevelu, Hársleveleue, Harst Levelyu, Hárzevelu, Hosszunyelü Féher, Kerekes, Kereklevelü ( Hungary ). The late-ripening vine is sensitive to drought and frost, as well as prone to Botrytis and real mildew, It produces extract rich, spicy white wines with aromas of lime blossom and lime blossom honey. She is also happy as table grape used. Doe variety occupies a total of 1,659 hectares in Hungary. The Botrytisanfälligkeit makes them predestined for the famous Tokaj, in which it occupies about 1,100 hectares. The remaining amount is available in the areas Balatonfüred-Csopak. Eger (with the famous white wine "Debröi Hárslevelü"), Somló and Villány, There are more stocks in Romania (20 ha), in the Slovakia (141 ha), in Austria and South Africa (56 ha). In 2010, a total of 1,876 hectares of vineyards were reported (Kym Anderson ). This page was last modified at 16 March 2019 at 13:25.